Cooking rice using the pasta method is a fool-proof way to cook rice and you don’t need to worry about scorching or burning it or the pan. 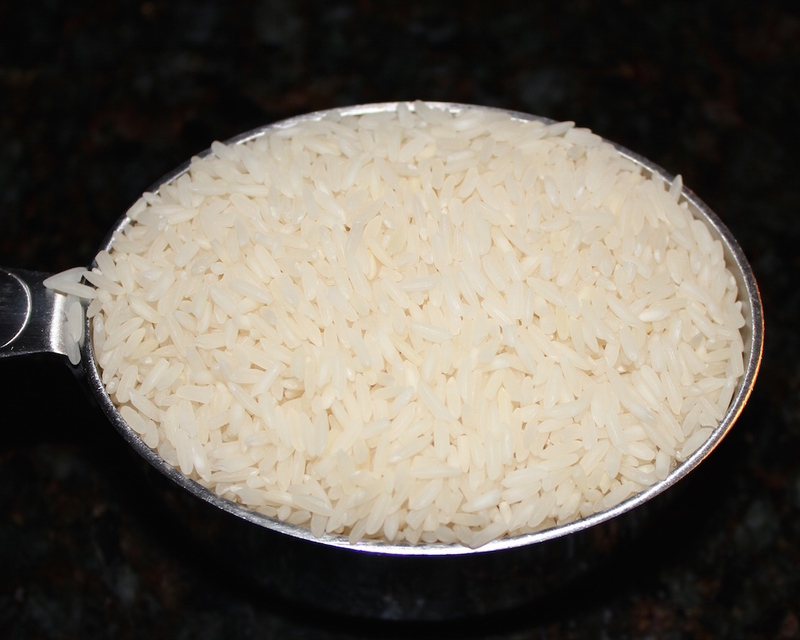 It’s an effective method to use when a recipe calls for cooked rice or you want to serve plain rice as a side. Almost any rice variety can be cooked using this method; I’m using basmati rice today, which will go into a soup. 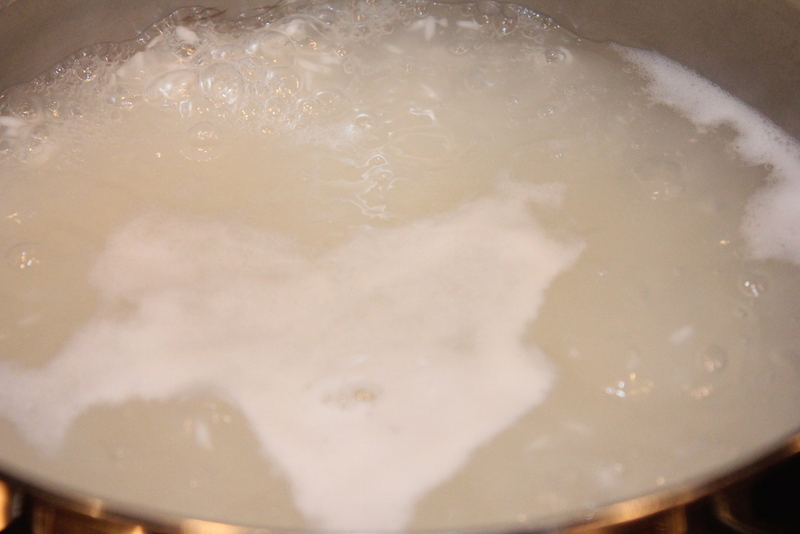 Be sure to stir frequently the first minute or two after adding the rice to the boiling water to prevent it from sticking to the bottom of the pot. Cooking time can vary depending on the final use. If the cooked rice is cooked further in another recipe, opt for a shorter cooking time by two or three minutes. Bring the water and salt to a boil in a medium-size saucepan, stir in the rice and cook for the time listed on the package. Drain. Here’s a fool-proof method to cook rice. Use for stir fries or any dish that has plain rice on the side. Or, sauté some minced shallots or onions, a couple of minced cloves of garlic in olive oil and the rice and peas to the onions, season and serve. Bring the water and salt to a boil in a medium-size saucepan, stir in the rice and cook for the time indicated on the package. Drain.